Optimise your returns with the best-value SAP BusinessObjects for SMEs. Buy cost-effective SAP Business Objects Edge licences. Boost your solution with partner advice, fast implementation, and optional services. 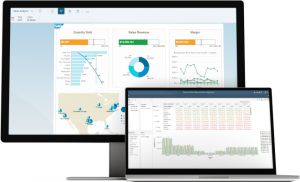 SAP Business Objects Edge licences for SMEs include features for all business areas, from ad-hoc reporting and dashboards to data integration and performance management – packaged and priced specifically for smaller businesses. The pricing of SAP Business Objects Edge licences depends on the size of your business, the tools required, and the specifications of the CPU and roles required. As well as SAP licences, our team also offers consultation to ensure you get the most from your investment, including our standard package services: Health Check (assessing your IT estate for problem-free integration) and Quick Start packages, as well as BusinessObjects training. 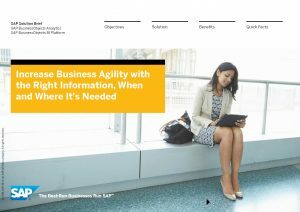 For more details of our SAP Business Objects services, why not visit our dedicated site? Talk to our dedicated SAP BusinessObjects team.